The patient-centered medical home (PCMH) model is a transition away from symptom- and illness-based occasional care, to a system of comprehensive, coordinated primary care for children, youth and adults. Patient centeredness refers to an ongoing, active partnership with a personal primary care physician, who leads a team of professionals dedicated to providing proactive, preventive and chronic care management through all stages of life. These personal physicians are responsible for the patient's coordination of care across all health care systems facilitated by registries, information technology, health information exchanges, and other means to ensure patients receive care when and where they need it. With a commitment to continuous quality improvement, care teams utilize evidence-based medicine and clinical decision support tools that guide decision making, as well as ensure that patients and their families have the education and support to actively participate in their own care. Payment appropriately recognizes and incorporates the value of the care teams, non-direct patient care, and quality improvement provided in a PCMH. 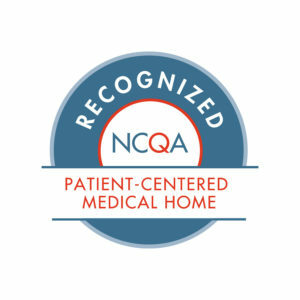 East Liberty Family Health Care Center is recognized by the National Committee for Quality Assurance (NCQA) as a Level 3 Patient Centered Medical Home—the highest Level of recognition.